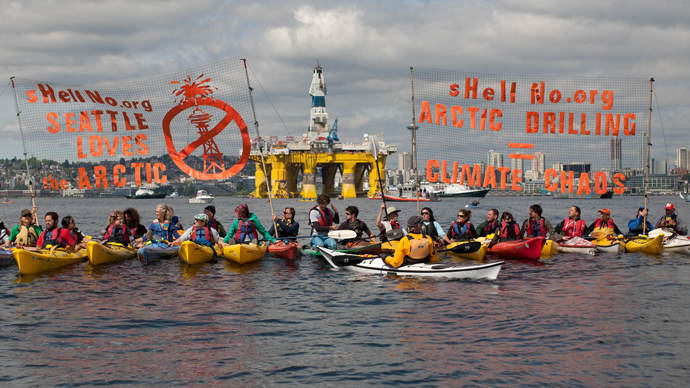 Hundreds of environmental activists have launched a fleet of kayaks, canoes and other small boats in Seattle’s Elliott Bay, where the Royal Dutch Shell recently docked its massive oil rig set to resume exploration and drilling of Alaska this summer. The “Shell No” kayaktivist rally was part of a peaceful “Paddle in Seattle” family protest festival organized in West Seattle park. Activists made sure that their discontent was visible at the site of Port of Seattle's Terminal 5 where the 307-foot-tall Polar Pioneer drilling rig is docked. “Climate Justice”, “Oil-Free Future”, “Shell No, Seattle Draws The Line” and “We can’t burn all the oil on the planet and still live on it,” were all slogans defiantly seen by the Shell representatives. 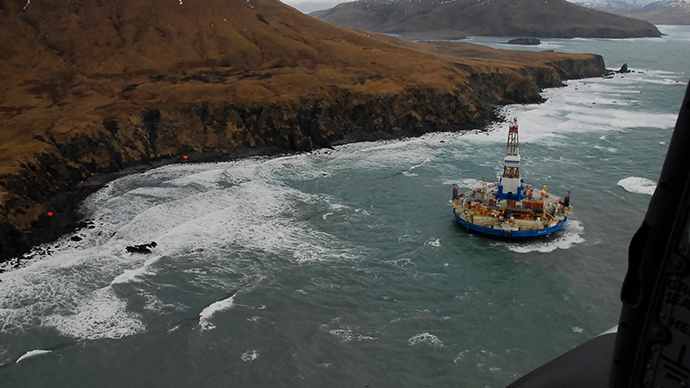 Many present expressed concerns over the potential pollution that the rig could cause. Greenpeace, which took part in organizing the initiative, used the occasion to stress the need for renewable energy. “Why would we invest in an energy source that scientists say is leading us to catastrophe?” Annie Leonard, executive director of Greenpeace USA. 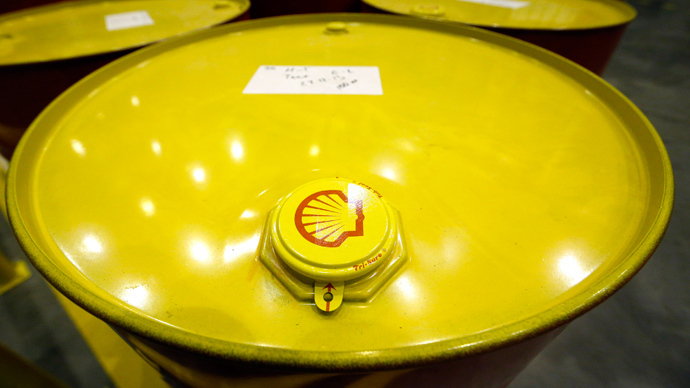 The Port of Seattle has been the center of environmental debate since the it announced in January that Foss Maritime has arranged for vacant Terminal 5 to be leased to Shell’s fleet under a two-year, $13 million agreement. The Polar Pioneer was docked on Thursday, despite a request filed Tuesday by the Port commission for Shell vessels to stay away while the Port challenges city ruling. The giant rig is the biggest piece of the 25-vessel fleet Shell is deploying for oil-exploration in the Chukchi Sea off Alaska’s North Slope.